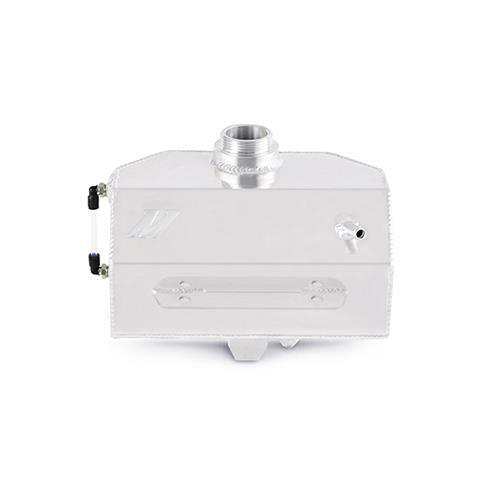 Replace your stock 2015-2019 Mustang coolant expansion tank with the improved Mishimoto tank! 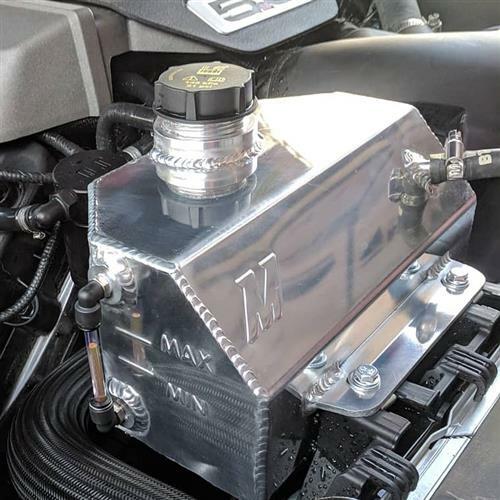 Mishimoto has created a great looking and functional expansion tank to replace your factory 2015-2019 Mustang expansion tank. The tank is a direct replacement for the factory tank, but improves performance by adding key elements to the tank. 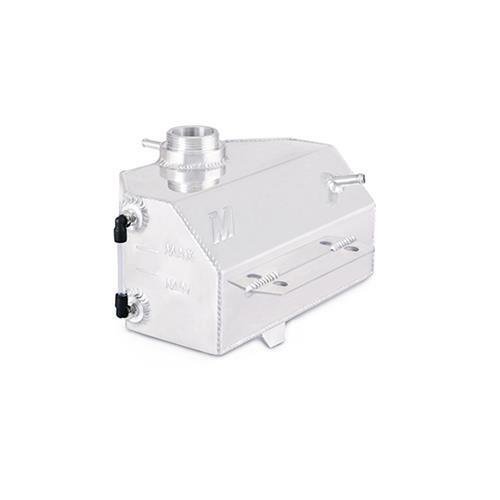 The expansion tank is internally baffled to prevent coolant from excessively moving during spirited driving. 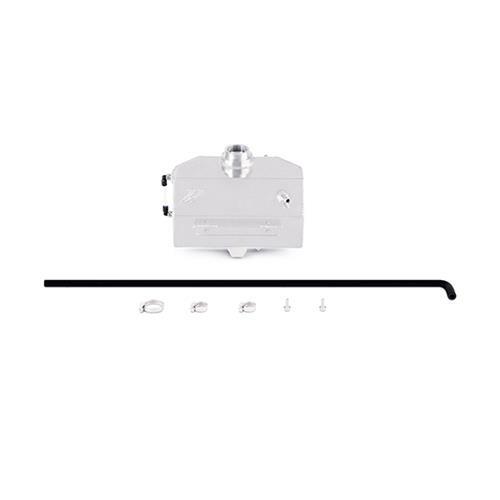 This will prevent air from entering the engine while accelerating, braking or cornering. The aluminum tank has been designed to improve looks with its polished aluminum finish. It retains the factory cap, making this a truly bolt in installation. The tank is finished off with an easy to read sight tube, that will allow you to check your fluid level hot or cold without opening the tank.